As a dietary supplement, mix one scoop in 8 oz. of cold water. Whey Protein Isolate, Coconut Oil, Corn Syrup Solids, Sodium Caseinate (a milk derivative), Mono & Diglycerides, Dipotassium Phosphate adn Sodium Silico Aluminate (Jerzee® blend), Natural Flavors, Sucralose, Xanthan Gum, Sodium Chloride, Acesulfame Potassium. 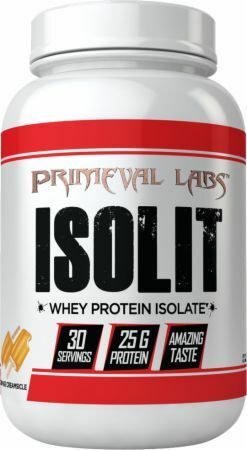 Why Choose Whey Protein Isolate Over Concentrate? Carmel Latte This is a Buy 1 Get 1 FREE offer! Chocolate Milk This is a Buy 1 Get 1 FREE offer! Coco Mint Chip This is a Buy 1 Get 1 FREE offer! Diner Vanilla This is a Buy 1 Get 1 FREE offer! Orange Creamsicle This is a Buy 1 Get 1 FREE offer! Pumpkin Pie This is a Buy 1 Get 1 FREE offer!